When her parents win an around-the-world cruise, Jessa Bright is less than thrilled to spend her senior year living with her grandfather in the dinky city of Spooner, California. But a mysterious, handsome boy at her new high school changes everything. Although Adriel is hiding a dark secret, Jessa uncovers the truth. He is a fallen guardian angel, banished from heaven and forbidden to interfere in the lives of humans. Yet the chemistry between Adriel and Jessa is too intense to ignore. With each step she takes into his supernatural world of angels and zombies and vampires, she is putting herself further into danger. 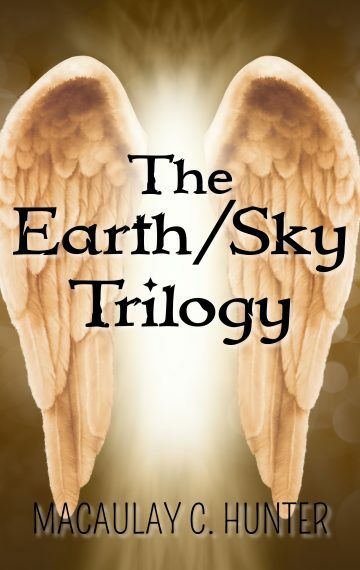 The Earth/Sky trilogy is a young adult paranormal romance series. This box set contains Earth/Sky, Above/Below, and Heaven/Hell.